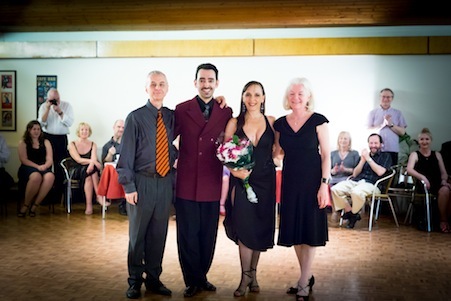 Tango West was founded in 1998 at a time when when there was relatively little Argentinian Tango outside London. 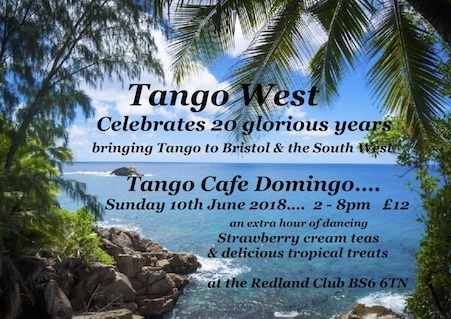 It was instrumental in bringing Tango to Bristol and much of the surrounding area, with many other groups having made their start with us. The original founders were Iwona Tempowski, Janet Offer, Michele Tedder and Andrew Oldroyd. The following pictures and Video clips show just a brief selection of some of our most recent activities. There is a little more information on the 'Michele & Andrew' page. This is the third time the Legendary Milena Plebs has visited us now; this time (2015) with Lautaro Cancela. Silvia Ceriani - partner of the late Pedro 'Tete' Rusconi.